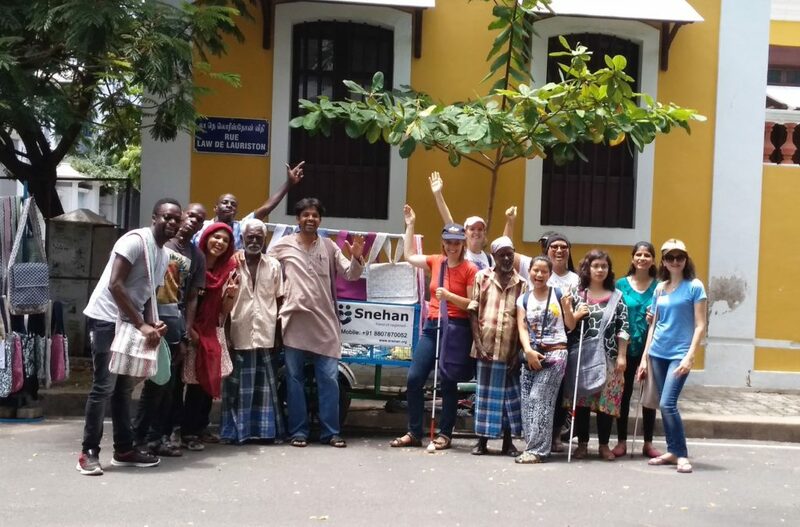 Sabriye Tenberken co-founder of #kanthari and 2018 kanthari participants visited #Snehan project in Pondicherry. They were so eager to know about our project and the life of homeless adults. We hand two hours of group discussions, later they walked around the streets of Pondicherry and met some of our beneficiaries and finally came to Snehan bag shop near the beach where they purchased Eco-friendly cotton bags from our beneficiaries. It was a happy movement for Anumuthu to share the success and the failures with Sabriye Tenberken and the 2018 participants. Thank you for your visit.